Due to weather conditions, our row has been postponed again. Please keep an eye on this page for details of new dates. Oh, and please, please, please keep everything crossed for good weather in the coming week or so! In the last few days, Rebels Without Paws have been coming to terms with the fact that the weather has temporarily postponed our Channel row for The AHOY Centre. It’s disappointing. We’ve had to unpack our kit bags and come down from the anticipation and feeling of readiness. We are staying positive, though, and are working with The AHOY Centre to reschedule. We think that Roald Dahl’s The Rowing Song sums things up quite well. Whilst we have avoided the hurricane a-blowing this time, we’re certainly not showing any signs that [we] are slowing. Unlike the rowers in the poem, though, we will soon know exactly where we are going! Please keep your eyes on the blog for updates. We’ll be rowing again soon! This month we’ve been planning, training and fundraising and the BIG week is finally here. There’s the small element of mother nature to over-come (weather & sea conditions may change the plan) but the team are now ready to hit the Channel. June has been an incredible month. We’ve raised well over £2,500 and we’d like to thank everyone who has contributed: be it by coming to one of our events, buying or making things for our fundraising stall, or by donating money or time to help us. Every last penny will enable The AHOY Centre to continue their amazing work with disadvantaged or at risk youngsters and disabled people. The next few days will be dedicated to hydration, nutrition, rest, sleep and final prep. Jane & Rosie have prepared their Cox’s briefing; our kit lists are made. Accommodation is arranged and the boat’s already in Dover. Armed with a carefully selected list of pick-me-up tunes to match our rowing stroke rate, a kids’ joke book and bags of positive attitude, we think we’re ready to handle whatever the Channel has in store for us. Posted on 25th June 2018 25th June 2018 Author MichelleCategories Community, Dogs, Fundraising, Rowing, The Ahoy Centre, The challengeLeave a comment on It’s finally here! If you’ve got tickets for Friday night’s Quiz Night, then we’re really looking forward to welcoming you to yet another sell-out event! Once again, the fabulous team at Shrewsbury House are hosting us. This is our last fundraising event before we row the Channel, and it’s sure to be a good one. The quiz will start promptly at 7.30 pm, with Quiz Master, Kate, at the helm. Please arrive in plenty of time to pay your £5.00 pp entry fee, get a drink from the bar and to chose your seats. Prizes have been organised and the competition is fierce! Not able to join us? Please read on because we’re also hosting an auction and you can get involved. We’ve been totally overwhelmed by the generosity of many businesses in the local area (and further afield) who have gifted some fabulous items for our auction. So fabulous, in fact, we’d like to extend the chance to join in to anyone who would like to take part. All money raised from the auction will go towards our fundraising target of £12,000.00 for The AHOY Centre. We are sure that, by now, most people that know us will also know who The AHOY Centre are and what they do. A wonderful charity supporting disadvantaged youngsters and disabled people through sailing and rowing, they are helping individuals to reach their potential. Every, single, day. Find out more about the Centre and what it means to the people it supports, here. The list of available lots can be found here. More information about the lots (actual sizes, etc) can be obtained via email up to 10.00 am on Friday 1 June 2018.
WHO CAN BID & HOW? Please feel free to tell your friends about the auction. Everyone is welcome to bid by email. Email bids can be made up to 3.00 pm on Friday 1 June 2018. If you are making an email bid, please ensure that it is your best and final offer. Only the highest email bid will go through to the auction in the evening. If no higher bid is made at the event, then the highest email bid will win. If you prefer your name not to be announced by the auctioneer at the auction, please specify this in your email. Your bid will then be identified as ‘anonymous’. The people and businesses that have donated these lots have been extremely generous. Their details are given in the list of lots. For some lots, we have identified a minimum reserve price. In some cases, the reserve is well below the actual value of the lot. Please bear this in mind when bidding, and don’t forget where your money will be going! Please rest assured that no personal information will be retained after the event, and it will certainly not be used for any other purpose than to be able to contact the lot winners. If you chose to pay for your bid via our fundraising page, you will be able to view any relevant privacy notices at the point of donation. If you’re not coming to the quiz but know someone who is, then you are welcome to ask them to act as proxy representative for you. Phone bids will not be possible on the night due to time constraints and potential issues with phone reception. It is up to individuals to organise their own proxy representative to bid on their behalf. Winning lots can be paid for in cash on the night, or by submitting the bid amount to the Rebels Without Paws fundraising page which you can find here. Once done, bid winners should email rebelswithoutpaws@inletmanagement.co.uk to confirm, and arrangements will be made to get their item to them. Items can either be taken on the night if paid for at the event, or hand delivered within the SE18 postcode area if payment is made via the fundraising page. For bulky items won by those attending the quiz, we are happy to arrange delivery within SE18, rather than winners taking them home with them on the night. If bid winners are outside our local area, we will happily post items to them via an appropriate postal service. We would kindly ask that winners offer to pay the postage for their item. This will mean that we can ensure that all funds raised on the night can go directly to The AHOY Centre. We would ask anyone bidding on items to remember that this is a charity auction. All proceeds will go to The AHOY Centre. Be generous, but please only bid if you really want an item. It would be such a shame to lose a donation because someone changes their mind after the event! This is meant to be fun! Whilst our aim is to raise some serious money for a very, very worthy cause, we are hoping that even if you’re taking part remotely, you enjoy the anticipation of bidding on any of our lots. Thank you – from the bottom of our hearts – for your support! Greenwich Wellness Rooms Supports Rebels Without Paws to Row the English Channel! The Greenwich Wellness Rooms is a bespoke wellness centre based in Greenwich. They are committed to improving all aspects of wellbeing, and have an extensive team of experts to meet your every need. Rebels Team Captain, Libby, is a Counsellor and Mindfulness Teacher at the Centre. Rowing the Channel was her brainchild, and Libby explains that “Training to be a mindfulness teacher has helped me experience things I might otherwise find terrifying!”. If you’ve read our earlier Blogs, you’ll know that Libby swam the Channel last year and decided to ask her friends to take part in the latest challenge to raise funds for The AHOY Centre in Deptford. The AHOY, which helps empower disadvantaged young people to change their lives through sailing and rowing, has a huge impact in our local community. The Greenwich Wellness Rooms have also stepped up to the challenge offering their services to our rowing team for free. A personal trainer will help with our fitness, a voice coach will train the crew’s Cox to project her voice; a nutritionist will ensure the team are eating well; and an osteopath will help improve our joints. This teamwork will ensure that we reach optimum wellness by the time we set off. Find out more about the services that Greenwich Wellness Rooms offers here. Find out more about Greenwich Wellness Rooms’ commitment to wellness here. Support the Greenwich Wellness Rooms and the rowing team and donate to this worthy cause here. Fundraising update and more thank yous! The Rebels team have been busy pushing towards their fundrasing target of £12,000, all with the continued help and support of some great local organisations. Sunday 8 April saw our fundraising stall at Greenwich Market. As with much of Royal Greenwich, the Market is steeped in history. According to the Market’s website: “Greenwich has long been home to a Royal Charter Market which was originally assigned to the Commissioners of Greenwich Hospital on the 19th December 1700 for 1,000 years.” To have the chance to take our fundraising to such a wonderful location, and to be so warmly supported by Market Manager, Ben and his Team, felt like a great privilege. Despite the rain, we did our best to rouse the spirits of market visitors by rowing the equivalent distance of our Channel row on a rowing machine borrowed from The AHOY Centre. Credit must go to Andy Murphy from The AHOY Centre, who gave up his Sunday to come and support us in awful weather conditions! Thank you to everyone who bought some of our handmade goodies for their dog, or who put money in our collection buckets: you kept us going in the cold and rain and made it all worthwhile. In total we raised £336.00 and have now reached a total of £5,685.00 towards our £12,000.00 target. If you haven’t donated yet, and can help us reach the next huge milestone of £6,000.00, then you can donate here. We’ve got some exciting events planned for May & June, and tickets are on sale now. On Saturday 19 May we have the honour of being able to host a celebration Afternoon Tea at another historic Greenwich venue: Severndroog Castle. Tickets are £15.00 for tea, cake & sandwiches (donations over and above the ticket price are welcomed). We’ll also be offering a free glass of prosecco so that you can raise a toast to Prince Harry & Meghan! If you’d like to book a ticket, please email: rebelswithoutpaws@inletmanagement.co.uk. 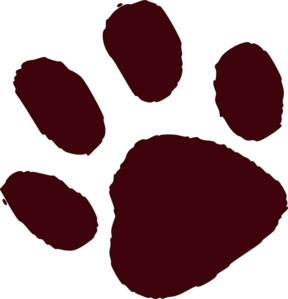 Friday 1 June will see ‘Paws II: Quiz Night’ in the Old Library Bar, Shrewsbury House. Tickets are £5.00 each (again, donations above the ticket price will not be turned away!) and those who come along are invited to bring their own nibbles and snacks (no food will be provided on the night). There will also be some fabulous Lots to bid for in our silent auction, so don’t miss out: book your tickets by email: rebelswithoutpaws@inletmangement.co.uk. Thanks to all the amazing people who continue to support our efforts to raise funds for a fabulous charity. If you’re not familiar with what The AHOY Centre do, please take a couple of minutes to read all about them. Who knows, maybe this time next year we’ll be supporting your team as you fundraise for your own Channel row! Posted on 16th April 2018 Author MichelleCategories UncategorisedTags charity, fundraising, Greenwich, Greenwich Market, rowing, Severndroog Castle, The AHOY CentreLeave a comment on Fundraising update and more thank yous! A big thank you following a big weekend! What a weekend for the Rebels Without Paws team! Friday and Sunday saw our biggest fundraising push to date with a quiz night at Shrewsbury House, followed by a Vintage and Craft Fair (also at Shrewsbury House). Together, the 2 events boosted our fundraising total significantly, and the amount raised to date now stands at £4705. We are so grateful to all of those who turned out to support us over the weekend, especially as we were in the grip of the winter’s biggest freeze. The warmth and generosity people have shown has been incredible, and it all helps to keep us motivated to push on to achieve our £12,000.00 target. If we’ve not mentioned you here, rest assured you’ll be named in future posts, because the list of people to thank is far from finished. We’ve got some more exciting events planned between now & June, and have already secured some gorgeous goodies, generously donated from both local and national organisations. Watch this space for more, and if you are local, keep your eyes peeled for the chance to join us as some fun community events. Finally, not only was the weekend a big one for fundraising, but Team Captain, Libby, had her first on-water rowing training session. Libby and friends are taking part in The Ahoy Centre’s Meridian Pull on Sunday 11 March. The rest of the Rebels Team will be eagerly cheering them on, while counting the days until we all start our water rowing training (first session’s booked for 29 April!). Keep in touch with our training progress, how we’re going with fund-raising target, and to find out how you can get involved in future events, by checking in with this blog. Not donated yet? You can do so here. Format ImagePosted on 7th March 2018 Author MichelleCategories Community, Fundraising, Rowing, The Ahoy Centre, The challenge, TrainingLeave a comment on A big thank you following a big weekend!